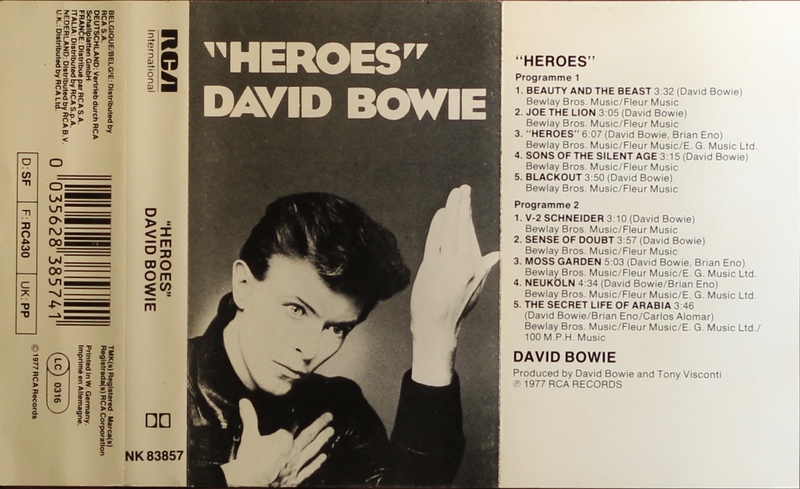 “Heroes”: EU; RCA International; NK 83857; 1981. 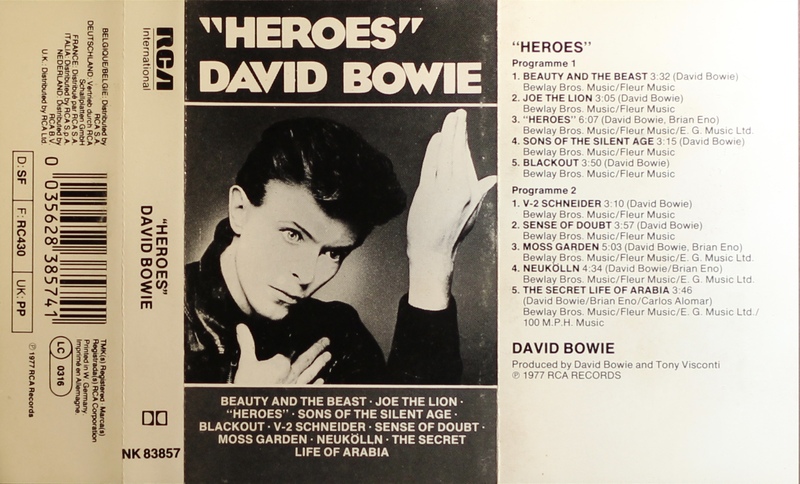 The cover picture is bordered with grey panels to top and bottom; track list on bottom panel and title on top. 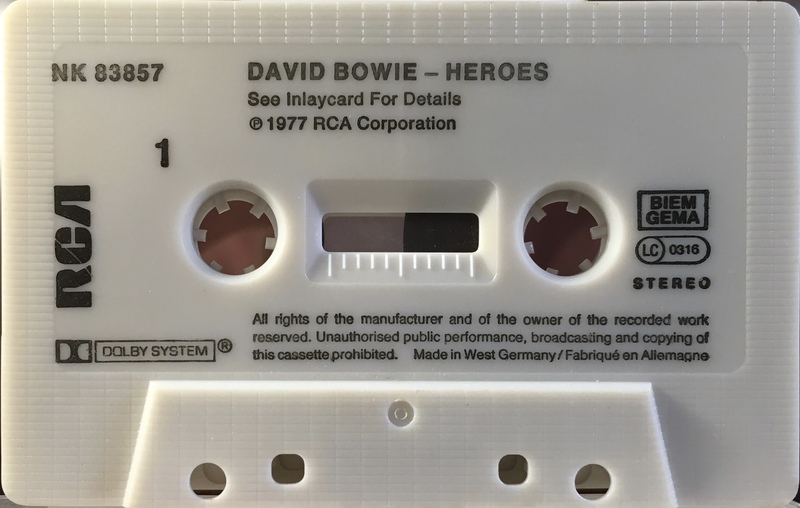 White spine and rear panel with RCA International on the spine. Thin glossy, perforated paper cover. The rear of the cover is blank and the track list is on the inner cover. No Label Code on the spine, it appears on the rear cover. The information on the rear panel is identical other than layout in the two issues. The re-issue coincides roughly with the RCA International re-issue LP’s. 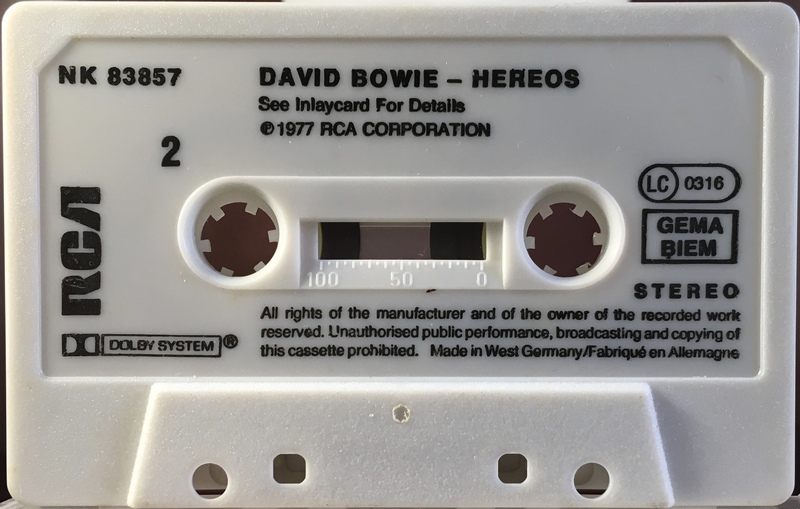 Although made in West Germany they were intended for Europe wide distribution, hence the different languages used on the cassette and price codes on the cover. Grey ink printed directly onto black shell. 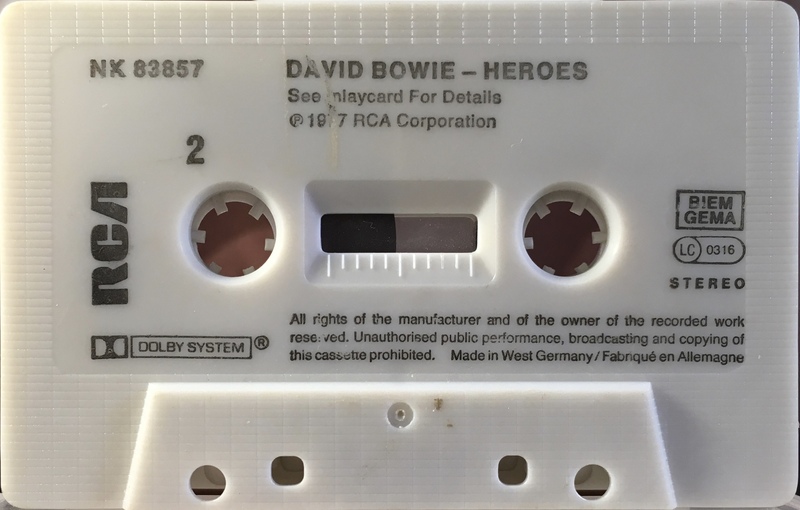 The mechanical rights society ‘GEMA’ appears below ‘BIEM’ (German copyright collection agency) on the cassette. Black ink printed directly onto white shell. 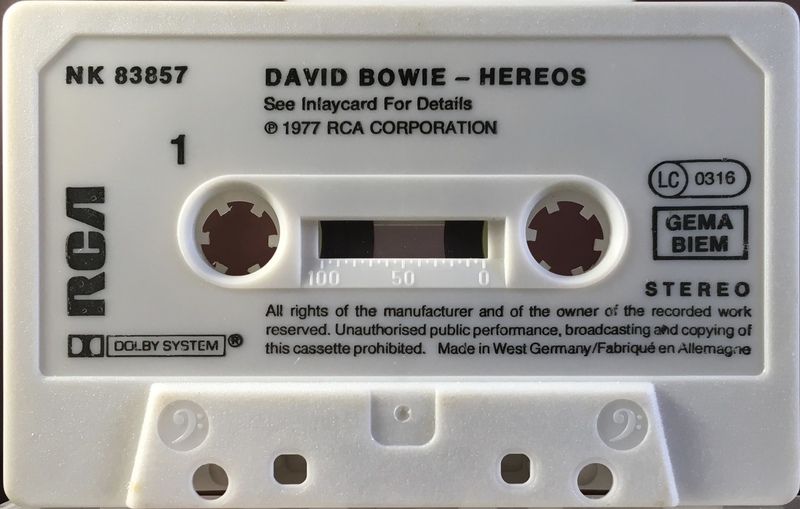 The mechanical rights society ‘GEMA’ appears below ‘BIEM’ (German copyright collection agency) on the cassette. 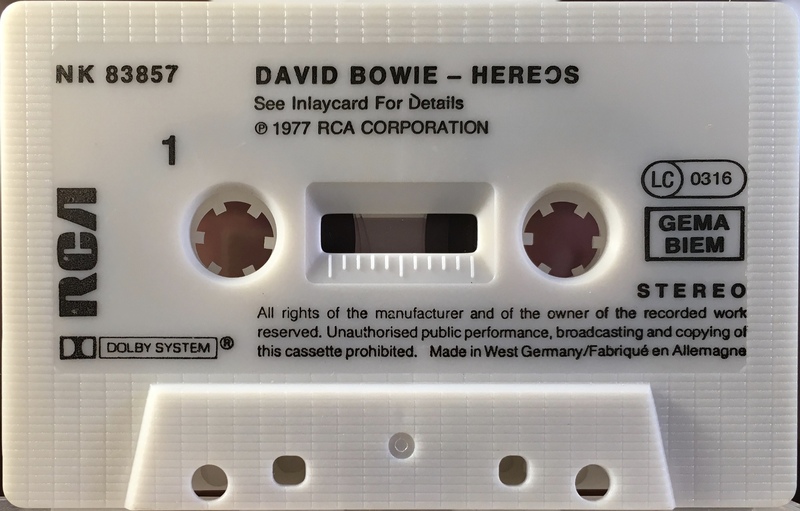 There are variants for the cassette itself. 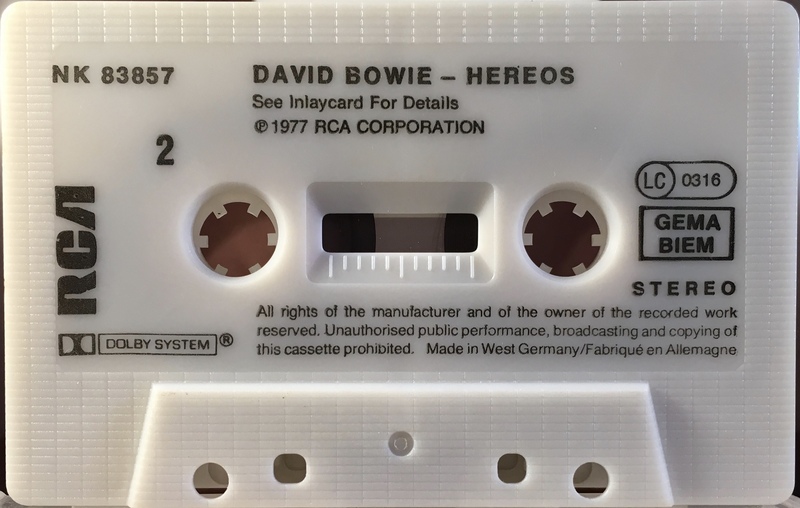 Other than colour the cassettes are the same. 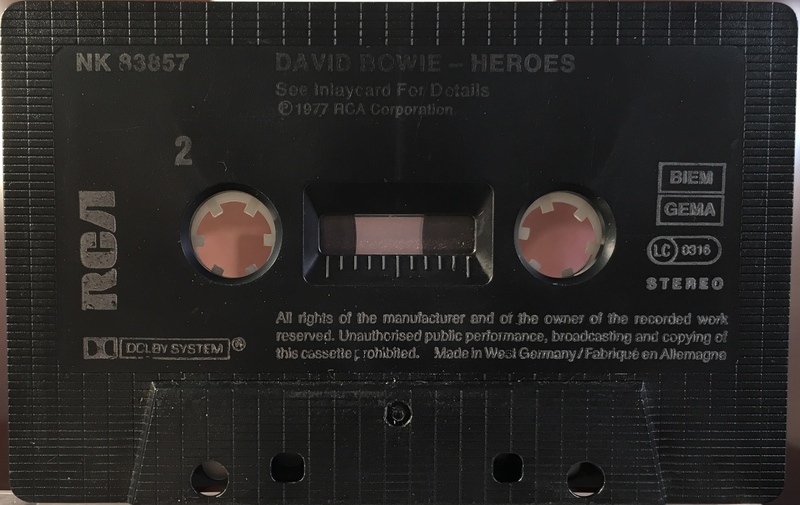 The cover is the full size picture without borders white spine and rear panel with RCA International on the spine. The rear of the cover is blank and the track list is on the inner cover. 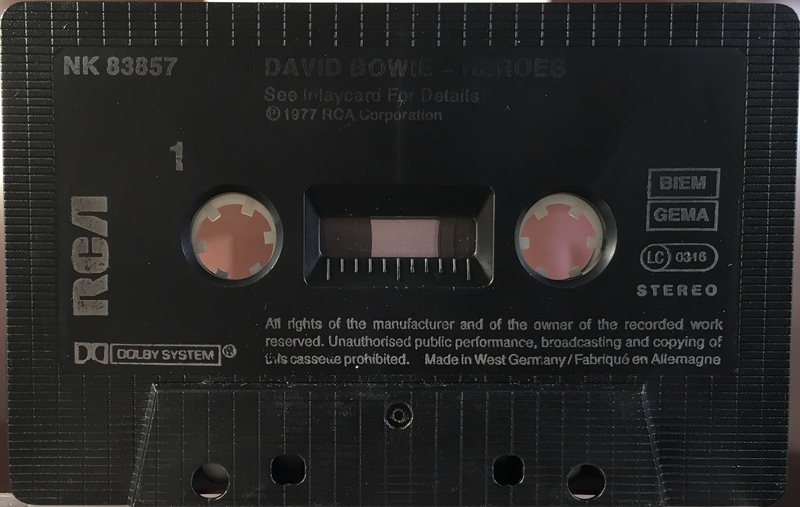 No Label Code on the spine, it appears on the rear cover. Treated paper cover.